As the enterprise begins to take note of social media like Facebook, and look for ways to get involved, you may find your work life encroaching on sensitive personal information. To address this, we’ve created this quick guide to keeping your Facebook personal and Facebook work life separate. Enjoy! Do you want to control who sees photos of you, even when they are tagged with your name? Do you want to keep your colleagues from seeing your frequent and personal status updates? Believe it or not, you can do all these things in Facebook. There are two steps. First, sort your Facebook friends between work friends and personal friends. 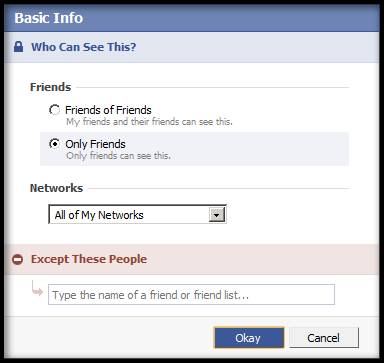 Then, determine which parts of your Facebook profile will be visible to which set of friends. 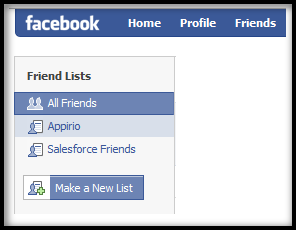 Login to Facebook, click on “Friends,” and “make a new list” of friends. You’ll be prompted to type in the names of friends you’d like to add to this list. You want to create a list for every group of friends from which you want to hide some part of what you do on Facebook. 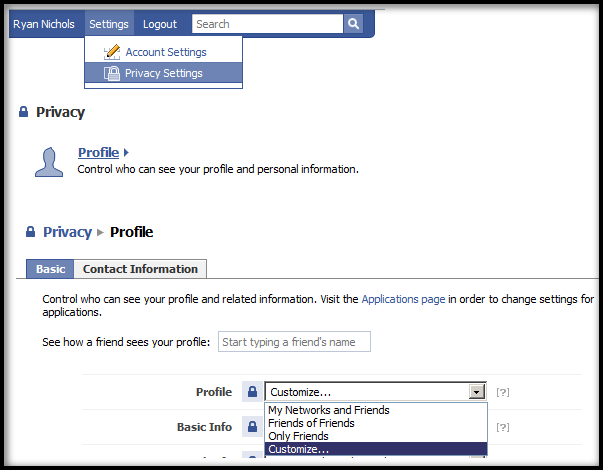 In the upper right of your screen, click settings / privacy settings, and configure each element of your Facebook Profile. Click “Profile.” Then, select “customize” under each element of your profile, and select to “exclude” your work friends list from the portions of your profile you’d like to keep private. That’s it! Now you can maximize the benefits of leveraging your expansive and fun-to-use social network for work use, with defined barriers between the two. To find out more about our work connecting Facebook and the enterprise, check out our current projects below, and follow us on Twitter for our future releases.